Talking about the teams, Southampton are currently are 12th with 21 points in the 16 games played, two points below Stoke City and one point above West Bromwich Albion whereas Tottenham are fifth with 26 points in the 16 games played, three points below Manchester United and above on goal difference from Crystal Palace. He has still played good this time and can improve a lot on his game. They played Crystal Palace at the Selhurst Park. The game started off in quite manner but later on it was a very interesting as Yohan Cabaye scored the opening goal of the game in the 38th minute to give Crystal Palace the lead and even though Southampton tried their best after that to get an equalizer but they couldn’t. Southampton had 15 shots in total out of which only three were in total whereas Crystal Palace had 12 shots out of which only 5 were on target. Eric Dier scored the opening goal in the 39th minute but Newcastle United turned the game in the last twenty minutes as Mitrovicd scored in the 74th minute and Ayoze Perez scored the winner in the 93rd minute of the game to Newcastle United the win. Anything can happen here as both the teams are well balanced. Stay tuned for more news. 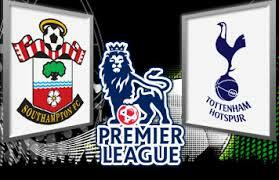 We will update you with every news from southampton vs tottenham match today.